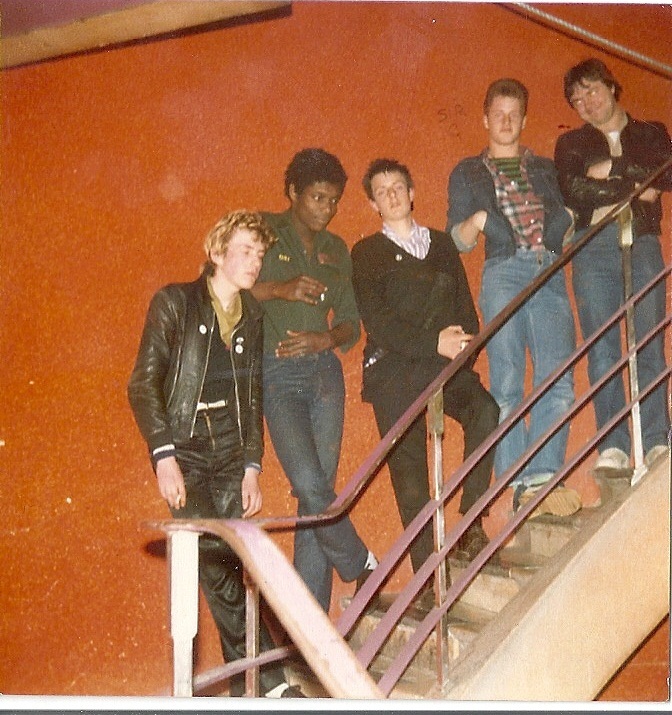 Formed in 1979, 021’s original line up included the 16 year old Tony Simpson and fifteen year olds Simon Palmer, Ian Kemp, Mark Thomas and the even younger 14 year old Punk Ian Richards. 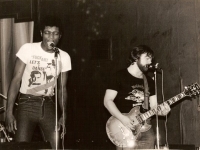 Hailing from Shirley and Olton the band played first gigs at the nearby Langley School, with an eclectic set that matched their diverse musical interests. Any concert where you can hear Stephan Wolfs Born To Be Wild followed by the Clash’s, White Riot, with an encore of Iggy Pop’s Wanna Be Your Dog showed the mood of the time and the cross from prog rock to Punk Rock that was taking place across Birmingham. Spurred on by the rivalry with local Band the Undertakers, the line up and look changed just after their first vinyl offering “I Don’t Wanna Be A Robot”, on the Mell Square Music EP, in 1980. The track is perhaps the worst produced track of all time, but provides a real nod to DIY punk and genuine belief in the art of the garage band. 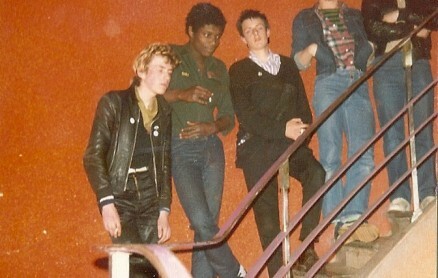 It was featured along with The Accused and Cracked actors on a John Peel BBC 1 special at the end of 1979. 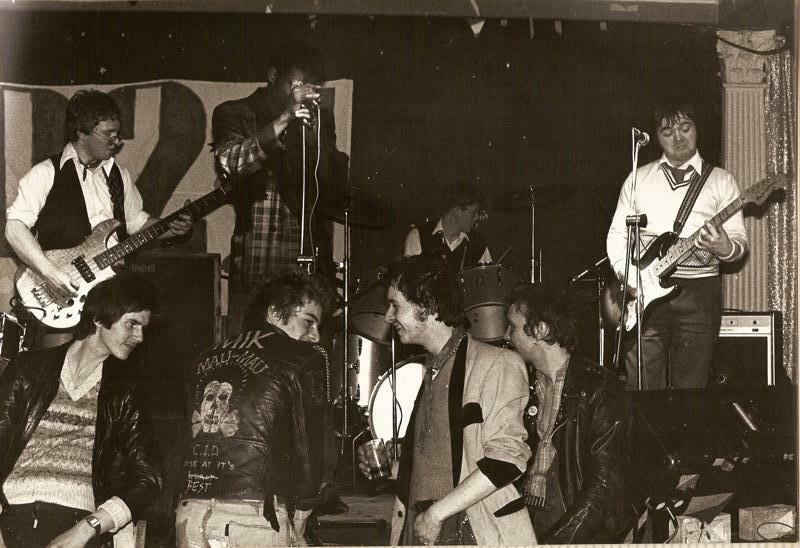 The band went through a major shift in focus and line up during 1980, under the influence of Simpson and Martin Frain (The Chomsky Allstars) their lyricist and manager, there was a desire to pen and deliver ala Clash / Jam / Stiff Little Fingers, three minute pieces of power and pace. 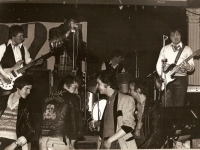 During this period the band gigged regularly in Birmingham and Solihull, with a residency at the Golden Lion Solihull, and supporting concerts at the Golden Eagle, Barrel Organ, and Kit Kat club amongst others. 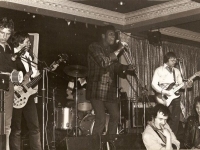 Their fan base began to spread, culminating in a graffiti campaign that came to regional prominence via the Birmingham media Evening Mail, with 021 being sprayed on walls and bus’s at the time. In 1981 the band recorded three studio sessions after which the acetate of What Ever Happened To You was released, they additionally recorded a session, borrowing the Undertakers base player Michael Hogan and recording the definitive version of Haven and Hell. 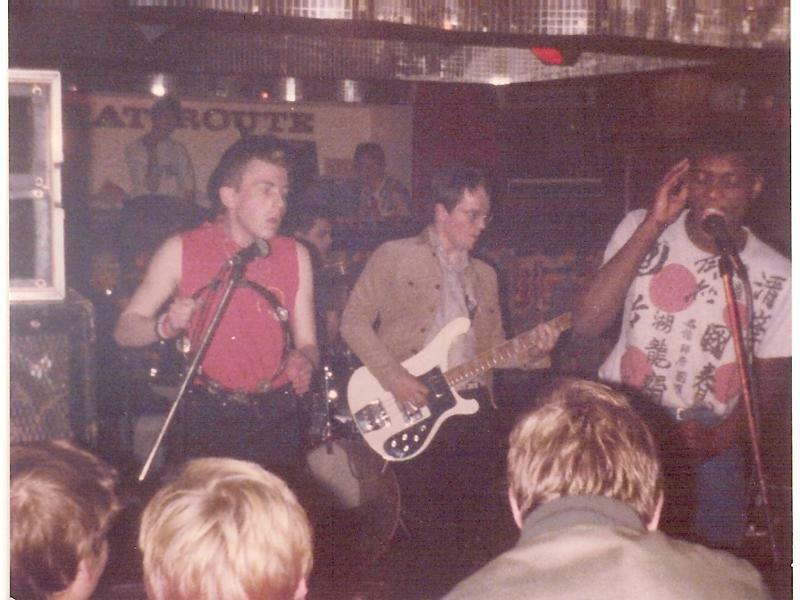 By Mid 1981, the band had finally reached its zenith with a line up of Simpson / Frain, (Viv) Elmore, and (Mike) Hancox, and (John) Croak joining from a local Birmingham based Ska Band. 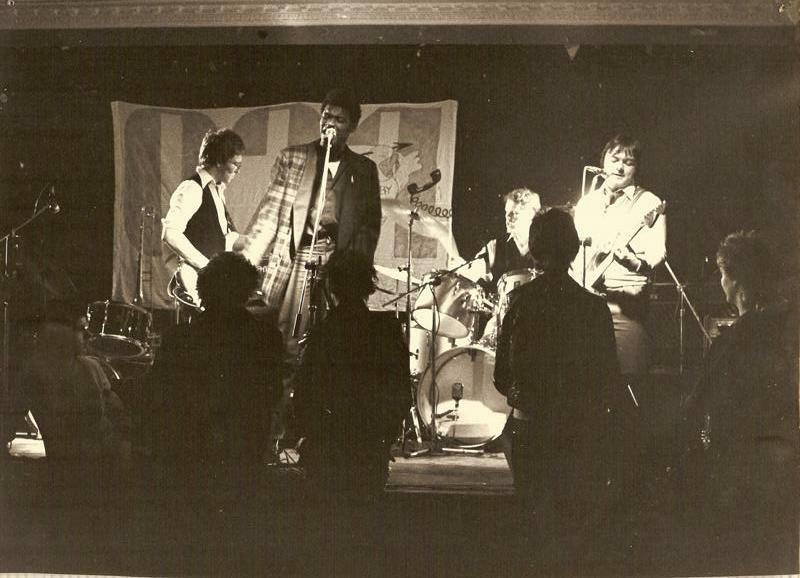 The band had found its own sound and was now firmly established across the Midlands Alternative music landscape, they played on the same bill as The Beat, Blurt, the Au Pairs, UB40, the Denizens as well as taking part in the famous Lark in the Park music festival at Cannon Hill Park. 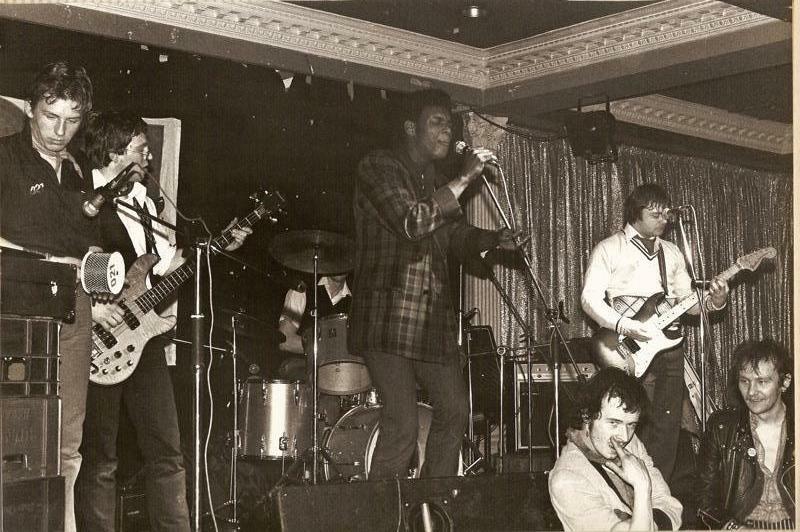 The band additionally spread its wings playing in London, Manchester, and Liverpool and on the South Coast. In 1982 they released the power pop single, The Pop Song on UK pop Records supporting this with a tour across the UK that culminated with a Mary Wilson / 021 / Mod All-dayer in Essex. Thier fan base at this time also turned towards the power pop mods that had stated to surface in Birmingham, with the Mood Elevators, 021 forged a new Birmingham sound and a small but passionate following, culminating in a residency at the Barrel Organ that was ultimately terminated due to crowd disturbances. The Pop Song meanwhile became a crowd favourite and the small press run was to sell out instantly, the band were now writing thier best work and regularly gigging in London with memorable performance at La Beat Route Club and The Cavern in Liverpool. By 1982 Elmore was the creative engine of the band, writing ever more bitter and challenging songs, for a period the band were due to sign as stable mates with Duran Duran, and were one of the first psychedelic based bands of their era. As The Pop Song gained Radio 1 Airplay, the band like so many, failed to deliver a follow up and slid into apathy, and disarray, leaving a memory of what might have been, 021 really were the band that never was. 021 mainstay Tony Simpson has sent some great pictures of the famed punk/power pop band. Thanks to Tony for the material. 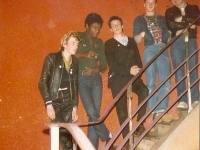 Here is a pic of 021 about to take the stage , posing on the (legendry) stairs of the Golden Eagle, all bands had to lugg gear up theses steep stairs, where the venue room was, not so bad….it was at the end of the night bringing it all down that was the real killer…anyway, great venue. The others pics are from the other legendary venue, The Cedar Club. The Mell Square Music Album 2010, Seven unrelased tracks available on Detour records ‘only fit for the Bin ‘lable. OR direct from Amazon. Wholly inaccurate bio of 021…….laughable. Try the excellent Mell Square Music book “I thought Solihull was for Snobs” or the recent 021 Album All Was Nothing” it has a 12 page booklet, lots of pics along with bio, all first hand accounts of and from the band!